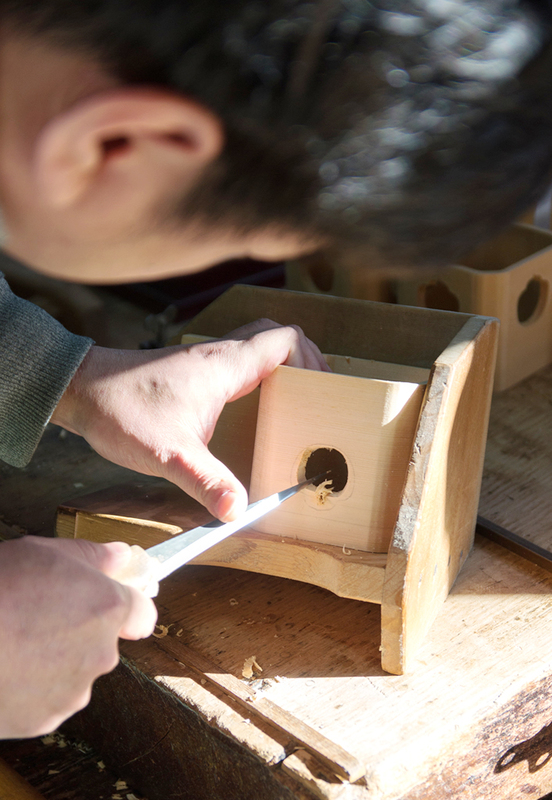 The workshop is specializing in Shinto related woodworking products with a number of elaborate details and rules to follow. For example, a small household Shinto shrine has a determined number of pillars, and the shape of the roof or the number of decorative items on it must be exactly the same as those of the real Shinto shrine. You may be able to feel the sacredness in atmosphere of the workshop by observing the delicacy of artisan’s handwork and the variety of woodwork planes he uses.